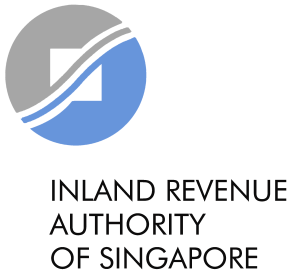 Download "IRAS CIRCULAR NOT ORDINARILY RESIDENT SCHEME"
Inland Revenue Department Hong Kong DEPARTMENTAL INTERPRETATION AND PRACTICE NOTES NO. 23 (REVISED) RECOGNIZED RETIREMENT SCHEMES These notes are issued for the information of taxpayers and their tax representatives. ROYAL MALAYSIAN CUSTOMS MALAYSIA GOODS AND SERVICES TAX (GST) GUIDE PARTIAL EXEMPTION, APPORTIONMENT & ANNUAL ADJUSTMENT (DRAFT) PARTIAL EXEMPTION, APPORTIONMENT AND ANNUAL ADJUSTMENT Contents Page 1. Chapter 6 Taxation of Individuals Introduction Resident Status The resident status of an individual determines the rates at which his income is assessed and whether or not he is entitled to personal reliefs. Number 52 of 2012 FINANCE (LOCAL PROPERTY TAX) ACT 2012 ARRANGEMENT OF SECTIONS PART 1 Preliminary and General Section 1. Short title and commencement. 2. Interpretation. PART 2 Residential Property 3.